My Giorgio Armani Brush Collection & Foundation. 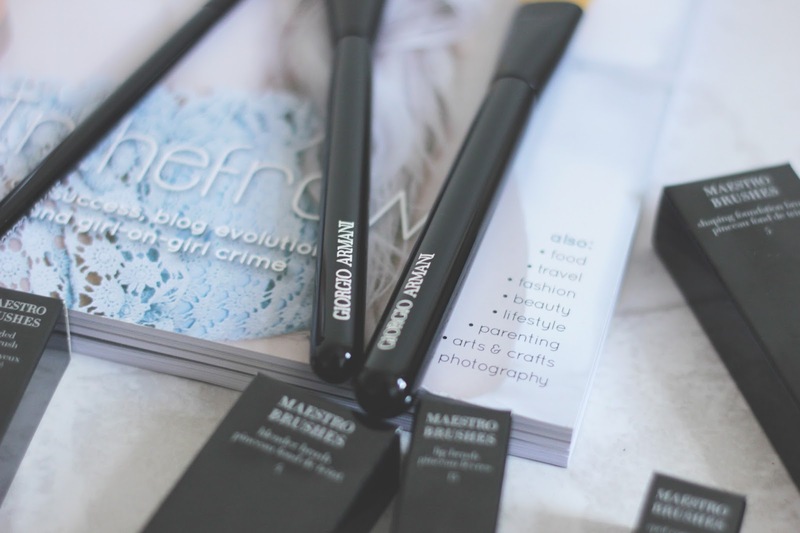 So this girl writing this blog feels like the luckiest girl in the world for receiving this brush set as a giveaway prize I won from InTheFrow. This is unreal I would never have been able to buy them all myself, so thank you Victoria for hosting the giveaway. As soon as they arrived I sat down on my bed and opened each one so carefully and admired them all. It even came with the Maestro Glow elixir which is incredible. I am so excited to try them all out and create some amazing make up looks, I am so nervous to actually use them. The packaging is what I am enjoying the most, just look at them. I am so nervous to use them because I feel so lucky to have them. I have never been one to be able to afford high end unless it is a real treat as I am a real big lover of the drugstore. Every now and then a high end beauty product is amazing yet I found myself winning this prize and I am so over the moon. 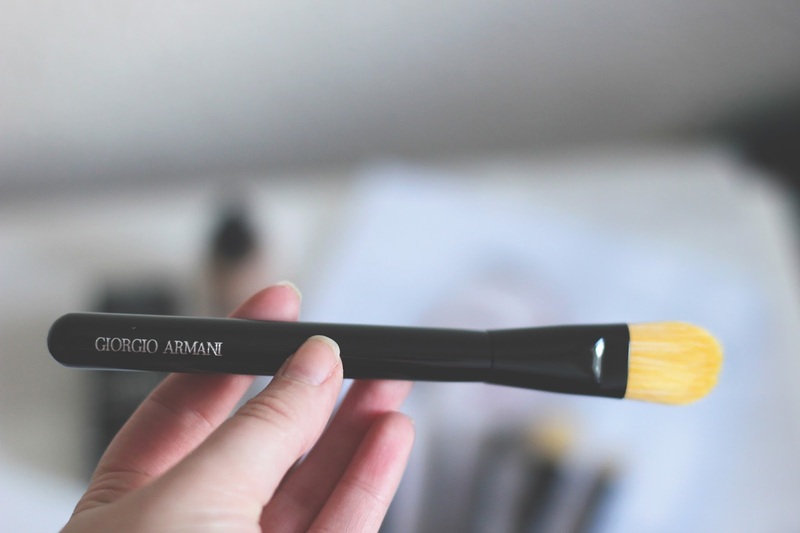 Juts one of the brushes costs around £60* which is omg. 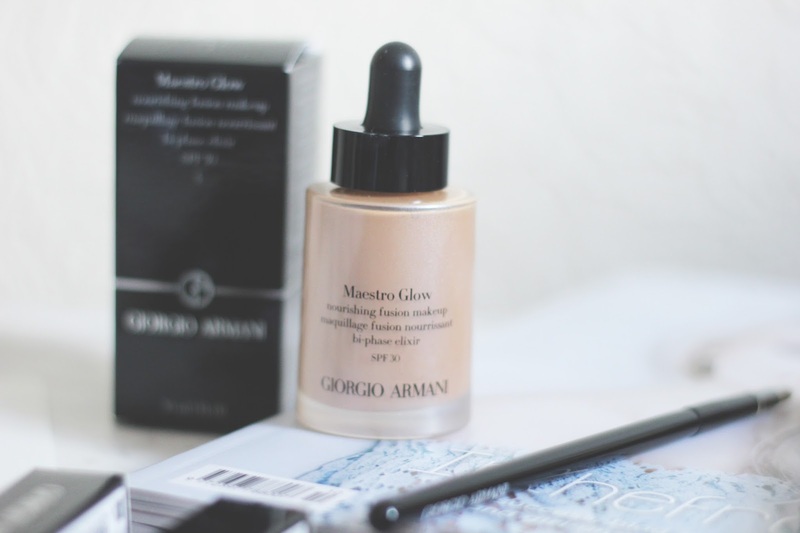 This foundation I am so excited to test out more, I have been after an Armani foundation for a while now. I am in love with the packaging of this elixir, I have tested it out on a small part of my skin and the colour is not too bad on me which is exciting. Its silky smooth to touch and apply, I bet this is going to be a big favourite of mine. The fusion technology adapts to the tones and texture of the skin for a tailor made fit. It has a light matte finish, illuminating the skin. The brushes meet the amazing excellence of the Japanese brush making. Designed with the highest quality providing this stunning brush. They bring out the best in applying makeup that is effortless and accentuated. The brush above this photograph is designed to apply liquid foundation with ease. 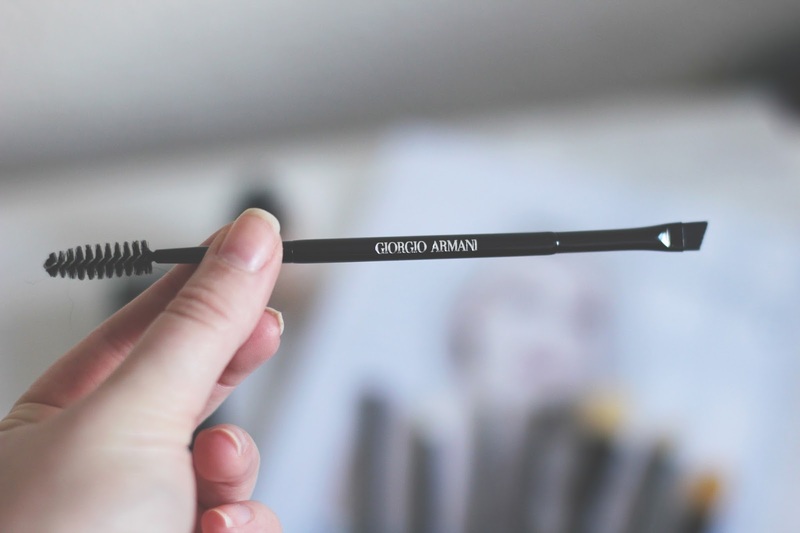 This eye brush is one of my favourites out of the collection. I will use this to perfect my eye brows. I love that it is double ended and you could use it for eye looks too. Overall I am so excited to get a good use out of all the brushes, this has made my brush collection extra special. I hope my make up will look amazing when I head out to blog events and with the help of these beauties I can't see why it wouldn't. I am so excited to test them out and pop them on display. Overall they are all amazing and I can see why they are on peoples wish lists. I feel so lucky to have them in my collection and I am sure this is not the last time you will see them on my blog. Thank you again Victoria for this amazing giveaway prize. 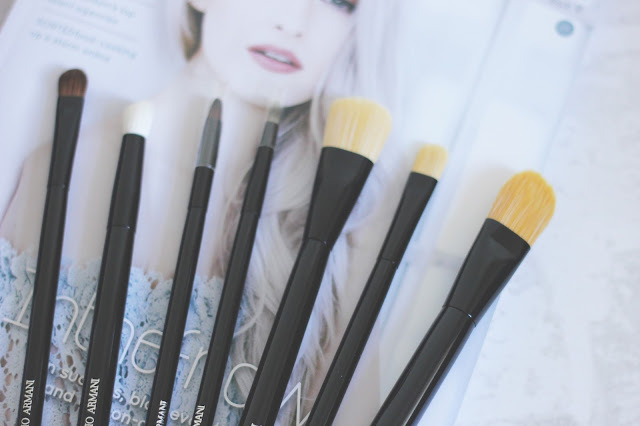 keep an eye out for a make up look using the brushes coming soon! What do you think of the brush collection?